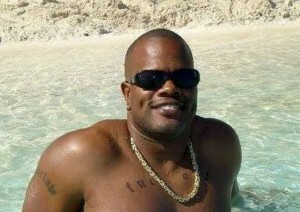 PHILLIPSBURG -Former Curaçao police officer Gregory Koeiman, who has been on the island for several years, was arrested by the Police Force of St. Maarten Arrest Team on Tuesday morning at his home. Koeiman was arrested in connection with an extradition request from the United States hanging over his head. In 2014 Koeiman received a positive verdict from the Appeals Court citing that the extradition had no merit and could only be applied if he was in Curacao, Holland or the BES islands. He was set free by authorities, but the US never gave up and continued the process in the Netherlands High Court. The United States request for extraditing Koeiman has to do with shipments of drugs to US territories, one which left from St. Maarten and another from Curacao. Court of JusticeExtraditionRogelio KoeimanSint MaartenU.S.A.